In June 2017 an earthquake shook the very foundations of British politics. With Labour widely predicted to suffer a crushing defeat in the general election, Jeremy Corbyn instead achieved a stunning upset—a hung parliament, the humiliation of Theresa May’s government, and more than 40% of the vote. A lifelong and uncompromising socialist, Corbyn had, against all expectations, been dramatically elected leader of the Labour party in September 2015. In the space of less than two years he had progressed from 200–1 outsider for the Labour Party leadership to become an apparent Prime Minister-in-waiting. How these events came about is the subject of Alex Nunns’ highly-readable and richly researched account. 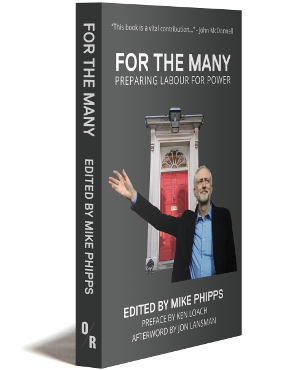 Drawing on first-hand interviews with those involved in the leadership and general election campaigns, including Labour’s most senior figures, Nunns traces the origins of Corbyn’s ascent. 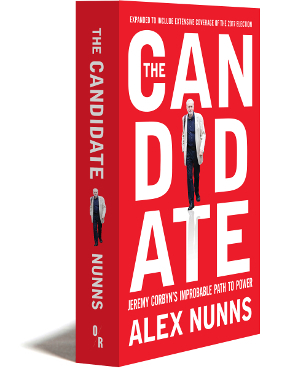 Giving full justice to the dramatic swings and nail-biting tensions of an extraordinary moment in UK politics, Nunns’ telling of a story that has received widespread attention but little understanding is as illuminating as it is entertaining. 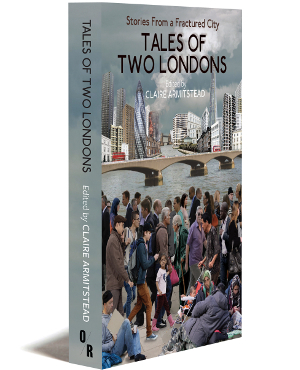 Selected by The Guardian as one of the best politics books of 2016, this updated edition includes a new prologue and revised introduction, and an extensive afterword that brings an incredible story right up to date. Alex Nunns is a writer and editor. He is the co-editor of Tweets from Tahrir: Egypt’s Revolution in the Words of the People Who Made It and has written for Le Monde Diplomatique and Red Pepper. “Wow,” says John McDonnell, breaking the silence. Everyone in the room expected Jeremy Corbyn to win, but not by this much. The “unelectable” left-winger has just taken 59.5 per cent of the vote in a four-horse race. The candidates and their campaign chiefs have been cooped up on the third floor of Westminster’s vast Queen Elizabeth II conference centre for 40 minutes anxiously awaiting advance notice of the result. Deprived of their phones and iPads to prevent the news leaking out, they have been forced to make small talk. After a summer in which the contenders have whiled away countless hours backstage at hustings up and down the country, there is not much more to say. When the gruelling programme of events began, Corbyn was a 200/1 rank outsider. Today, 12 September 2015, he is about to become leader of the Labour Party. After Iain McNicol, Labour’s general secretary, reads out the fateful figures, Corbyn’s defeated rivals—Andy Burnham, Yvette Cooper and Liz Kendall—offer their congratulations. Corbyn and McDonnell reciprocate, thanking the others for a comradely contest. There are hugs, but it is all rather restrained. Yet inside, the victors are fit to burst. They are “gob-smacked” at the scale of the win. When the result is publicly declared downstairs in the conference hall an hour or so later, the discordance of the audience reaction hints at the troubles ahead. There is wild cheering from some sections of the room. People literally jump out of their seats, shouting and punching the air. Hardened trade unionists are standing up chanting “Jez we did, Jez we did!” There is ecstasy and disbelief in the block reserved for Corbyn’s campaign team. A few minutes earlier rumours had zipped along the rows that Corbyn had won 60 per cent, an idea his supporters dismissed, saying there was no way that could be right. Until the last moment, some feared the contest could yet be fixed or summarily cancelled. “You can’t imagine that they will allow this to happen,” said one. But it has happened. And Corbyn’s detractors cannot believe it either. Between the islands of joy there is a sea of dejection. MPs, many of them appropriately grouped on the right hand side of the hall, sit in stony silence, betraying their emotions with the occasional grimace. Party staff wear sullen, sad faces to match the black attire they are sporting, symbolising the death of the party they have known. An incredulous Labour-supporting journalist sits shaking his head repeatedly as he surveys the scene. The press pack descends on Corbyn as soon as he steps off the stage. The party staff, whose job it is to look after the new leader, seem paralysed. “Go on, get a grip guys!” Corbyn’s campaign press officer tells them, before manhandling his boss through the jostling paps himself, past the TV reporters jabbing microphones in his face. At the Sanctuary pub it is pandemonium. 16,000 people volunteered their labour to the Corbyn campaign; it feels like they are all squeezed into the building. The bar manager is panicking about health and safety, saying he will have his licence revoked. When Corbyn arrives there is screaming and cheering and hugging. TV crews try to push their way in through the door. Others resort to filming through the window. A small amplifier and microphone are set up at one end of the room. Corbyn stands on a chair to make a speech. “We’ve been through 100 days of the most amazing experience many of us have had in our lives,” he says. Someone has given him a tea towel printed with an image of his mentor, the late Tony Benn. Corbyn reads aloud the quote below: “Hope is the fuel of progress and fear is the prison in which you put yourself.” Several people burst into tears. Nobody has noticed the American family sat at the back. They only came in for a quiet lunch, and find themselves in the middle of a raucous party. “Apologies to this American family that we’ve interrupted,” Corbyn says. “We respect our good friends in America.” The room breaks out into a spontaneous chant of “USA, USA, USA!” It is the most unlikely chorus coming from a crowd of socialists celebrating the election of an anti-imperialist. “No one expected to hear that!” Corbyn laughs. It was quite a statement. Three and a half hours later, Corbyn is stood in front of tens of thousands in Parliament Square proclaiming: “Refugees Welcome.” Watching on, McDonnell feels proud of his friend’s “courage and grit and bravery.” Behind the stage, as the new leader’s third speech of the day draws to a close, a phalanx of young volunteers in bright red ‘TEAM CORBYN’ T-shirts forms a protective cordon ready to speed him through the throng of ecstatic supporters and selfie-seekers, and on to a future in which courage, grit and bravery will be in high demand.